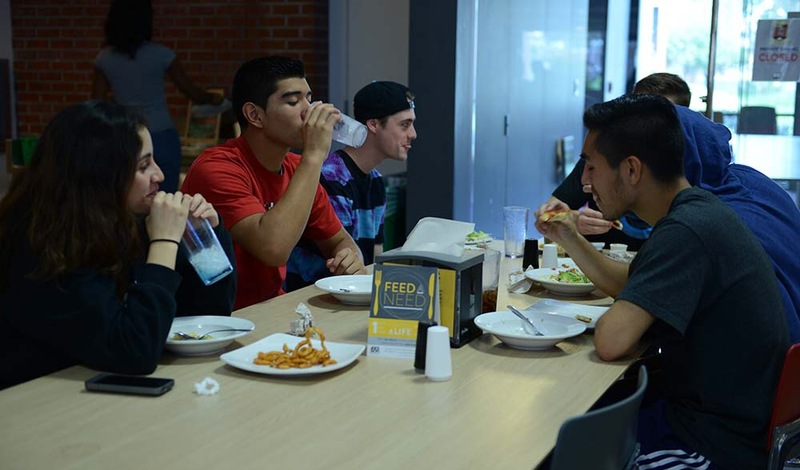 More than 1,000 meals were donated to food-insecure students at Cal State Long Beach (CSULB) recently as part of the university’s annual Feed a Need drive that gives students with meal plans the opportunity to donate them. The program concluded early February with 1,005 meals raised from approximately 40 percent of the campus’ residential students giving to their peers, CSULB announced. “With the Forty-Niner Shops’ donation included, we will have 1,305 meals available for students in need,” said Vice President for Student Affairs Carmen Taylor in a statement. The study is the second phase of the CSU’s examination of food, housing and security/basic needs and is part of a systemwide report presented last week at Sacramento State University, according to CSULB. CSULB implemented its Basic Needs Initiative in 2015, a campus-wide program addressing housing and food insecurity among students. The services involved include ASI Beach Pantry, the CalFresh Outreach Program, the Student Emergency Intervention and Wellness Program, the federally funded Supplemental Nutrition Assistance Program and Beach Bites. Learn more about the initiative here.